Admittedly, I am not the best card maker in the world, I rather ply my trade to canvas, books, inks and paints...but like anything, with practice you get better. I'm getting lots of cardmaking practice lately..I'm beginning to have a little more faith in my abilities. 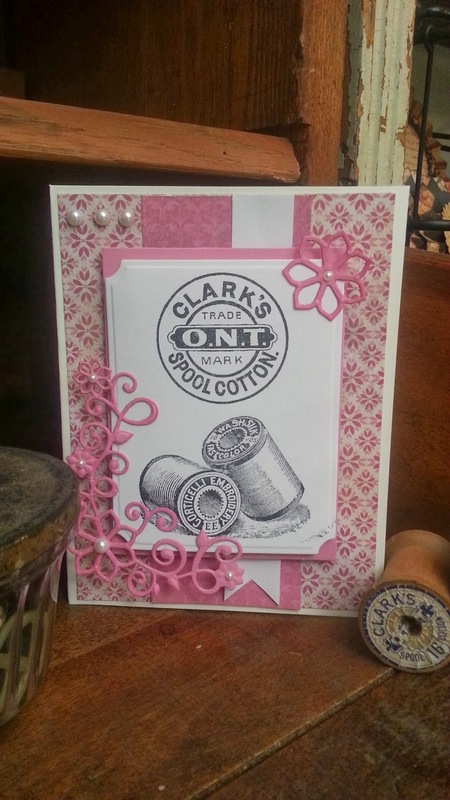 This is a simple vintage style card, that's clean and simple...fresh vintage. It's just a couple Spellbinders die cuts, layered on paper, a stamped image, and some pearl embellishments to finish. This card is kind of special, it's my mom's birthday next week, so I wanted to send something handmade. I like the way it turned out. And what's cool about the photo above? I found the antique spool in the photo in my great grandmother's sewing machine drawer...so the antique spool matches the stamped image on the card. There's no doubt my mom will see the connection when she gets this card. Cardmaking, like any art is a skill...it takes time to develop a skillful eye and careful hand...I'm glad I am getting to practice my cardmaking techniques lately...it's giving me more confidence to create and make cards. Thanks for stopping by today! I hope you enjoyed this clean and simple vintage card. You have never made a card I haven't liked yet! 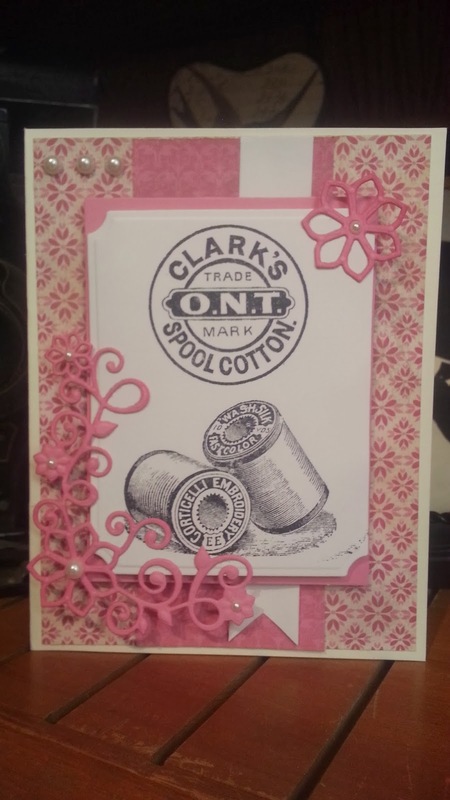 This one is pretty special with having the stamp of the same brand of thread your grandmother used. Your mom will love it! Oh she is going to love this, I love that corner die with it!! That's a lovely card, Ken! I think your mom will love it. My kind of card. May I ask where you got the stamp-I love it. Reminds me of my Mom. Yes, Beth. I got the stamp at Red Lead in St. Louis. 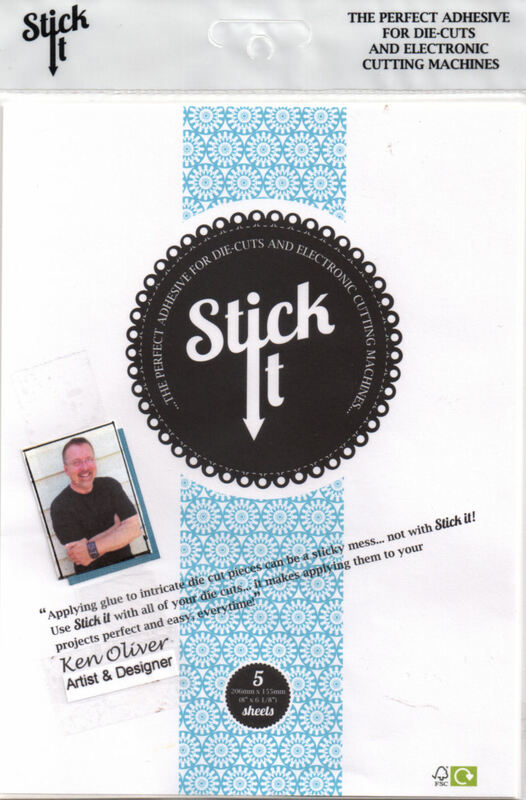 It's a great store and they have an online business too.